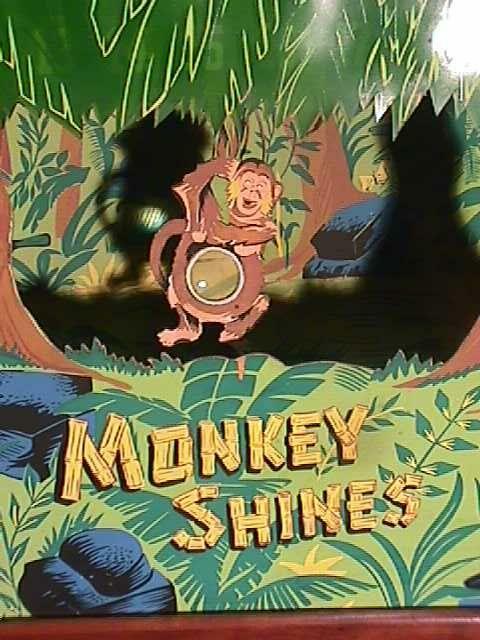 Description: Monkey Shines, maker unknown (probably Seeburg), 1949. 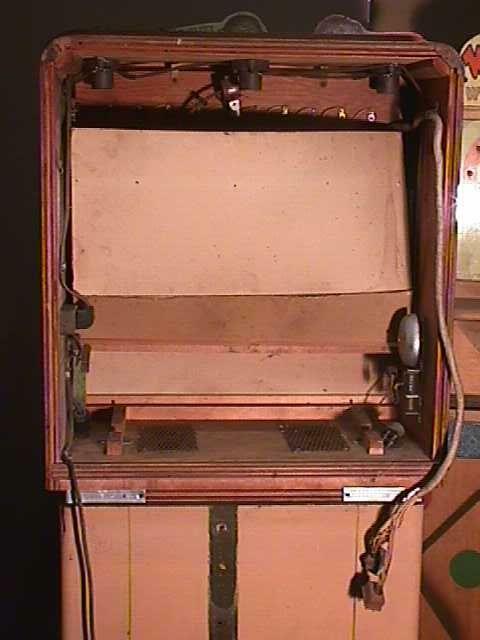 Has a moving monkey which swings back and forth which the player shots from a remote gun stand, Ray-O-Lite pistol style gun game. 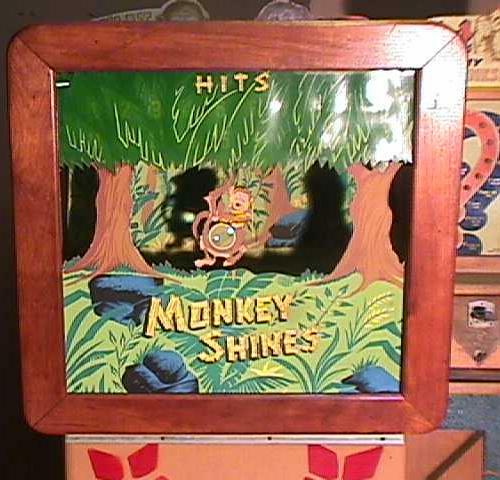 Note there is a arcade game by the same name (Monkey Shines). No picture of the gun stand. Pictures by JmGunGameArcade.